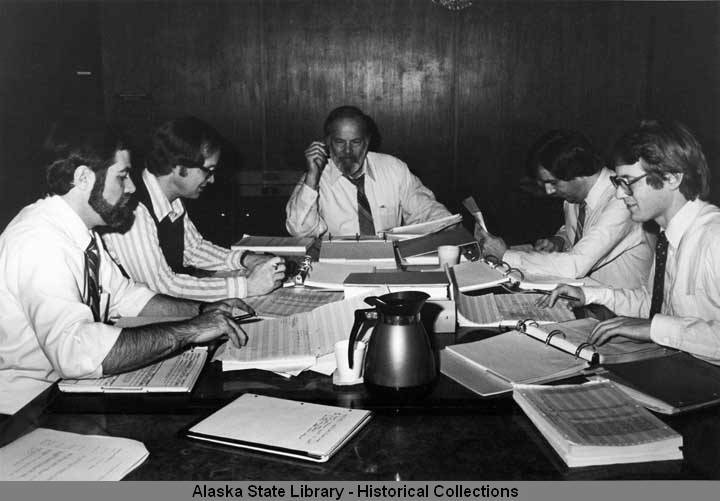 As oil prices rose during the early 1980s, Alaska’s corporate income tax revenue soared to $860 million under the state’s separate accounting income tax scheme. In response, the oil companies marshaled resources to overturn separate accounting and the resulting legislative battle led to a leadership coup that reorganized the House and the repeal of separate accounting. Another cause of discontent was the delay of a capital move bill sometimes known as “the winner takes all” mechanism, under which, if approved by voters, a new capital would be built and, if rejected, all previous move initiatives would be repealed. In 1982, voters rejected the capital move measure. Buoyed by oil revenue, lawmakers made several appropriations for agricultural projects, including investments in infrastructure and the creation of additional farms under the Delta II project. The 12th Legislature also appropriated funds for energy projects such as power plant feasibility studies and construction, transmission lines, rural electrification, and alternative energy, as well as funds for village safe water facilities, and other sewer and water projects. Lawmakers also passed major revisions of commitment procedures for mentally ill persons, and drug laws and related criminal penalties. The Legislature established a number of entities to address important issues such as the Older Alaskans Commission to advocate for the needs of Alaska’s seniors; the Alaska Seafood Marketing Institute to promote and develop the state’s seafood industry; and the Council on Domestic Violence and Sexual Assault to coordinate and plan services for victims of these crimes. In Anchorage, 65,000 people gather to see Pope John Paul II. The 52 Americans held hostage in Iran for 444 days are freed. President Ronald Reagan is shot and wounded by John W. Hinckley III. Sandra Day O'Conner is the first woman appointed and confirmed to the U.S. Supreme Court. Lady Diana Spencer and Charles, Prince of Wales, are married at St. Paul's Cathedral in London. The Falklands War between Argentina and the United Kingdom occurs.